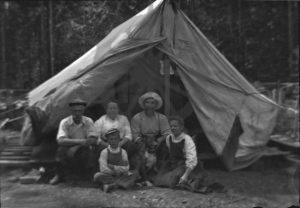 Group posing in front of tent, likely during clearing of land at West Demars, ca. 1910. 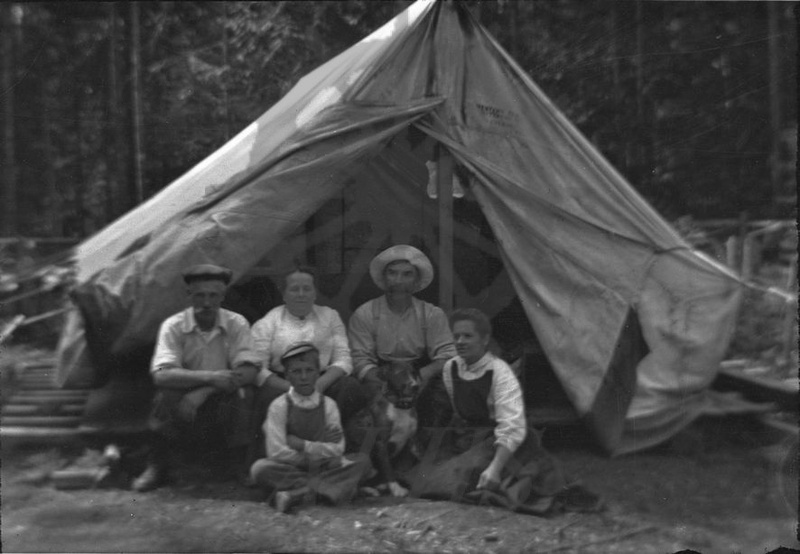 Jack Slade and wife Emily Slade (seated with their dog) at second right and far right, respectively.